Browse the current Valentine’s Day Sale Offers & Deals 2019. – Get Dinner and Movie – Take Large 3-Topping Pizza, 3 Drinks and a 2 for 1 Cineplex Movie Admission, starting at $14.99. – Take Heart Shaped Medium Pizza with 2 toppings for $11.99. – Get Big Dinner and Movie – Take 2 Medium Pizzas with 4 toppings combined, 6 Drinks, 2 Dips and a 2 for 1 Cineplex Movie Admission, all starting at only $19.49. – Feed 6 for under $6 each – Take 6 meals and pay $34.99. – Free drinks & dips with $20 orders – mix and match. Use Promo Code: 3FREE. Old Navy Valentine’s Day Offers – Take 20% OFF your order. Use Promo Code: LOVE. This offer is available online only, February 14, 2019. 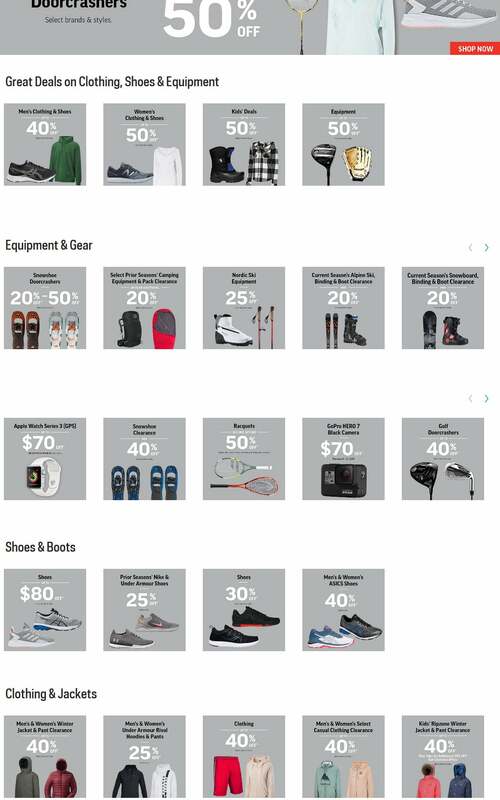 Sport Chek Deals – Get up to 50% OFF Doorcrashers, Clothing & Shoes, Equipment, and more. Also get up to $70 OFF on Apple Watch Series and GoPro Camera. Lindt Chocolate Canada – Take 25% OFF for All Valentine’s Day Items & Gift boxes. Discount applied to regularly priced merchandise only. Offer valid while supplies last. Hudson’s Bay Sale – Take $10 OFF your purchase of $75 or more Beauty Purchase. Use Promo Code: LOVE. Also save an Extra 25% OFF Clearance for a total savings of up to 75% OFF. Use Promo Code: LOVE. Free Shipping on online orders of $99 or more or $49 for Beauty Orders. Spotify Canada Valentine’s Day Sale – Take 60 Days of Premium for Free and then pay $9.99/month. Limited time offer, while supplies last. This offer is not available to users who already tried Premium or to users in Quebec. 2 Quarter Chicken Dinners + 2 bottles of Pop for $22.99. Use Promo Code: SC405. Valid for Delivery only. Indigo Canada Sale – Take 15% OFF for Décor, Toys, Fashion and more. Use Promo Code: ADORE15. Offer valid until Sunday February 10, 2019. Free Shipping to any store for all orders of $25 or more. Take 25% OFF on Valentine’s candy with coupon, valid until February 13, 2019. Limit one coupon per store visit.